It appears persistence and momentum does pay off. WRBL News 3 finally paid attention to the Cobra Collection scam story on June 14, 2007. However, they called it the “Cobra Collection Controversy“. Boy, is that an understatement. I liked WTVM’s title much better because it was more bold but also accurate. In their broadcasts, they titled it a “business scam” and “collection scam”. I don’t really know how the process of getting a local story on-air at all. I have managed to stumble my way through the process a few times but it has always been a chaotic process. 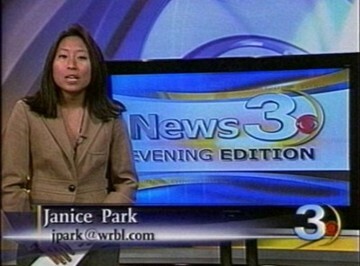 But I am happy Janice Park of WRBL finally caught wind of it and decided to move on it. She said my email sounded like I was angry with them (WRBL). Actually, I was more frustrated because I didn’t understand why I got a poor response. I thought there was so much put together and the client accounts of $6 million would be large enough. I was thinking to myself, does Cobra Collections have have to blow up a building or the client accounts to reach $10 million to make the news? If it wasn’t going to be a good story, why not? I simply wanted to know. Anyhow, after scrambling around making calls, I provided Janice Park a list of people who would appear on camera to talk. Steve Klemetti of Central Print & Signs and Nancy Wilhite of Dr. Jay Brodwyn’s office were both willing to help the cause. I was grateful and they did a fantastic job. In my interview with WRBL, I attempted to be concise. As always, it was interesting to see what they would choose to air. I looked like hell after standing in the sun sweating while talking to the cameraman. But we finally came into my air-conditioned private office and knocked out the interview. The June 14, 6pm airing was nice clocking at nearly 3 minutes, however the 11pm airing was a bit more disappointing. Nevertheless, it was far more than we were getting before. You could see my website CobraCollectionScam.com in the news story. I asked Janice Park to be straight with me after I thanked her. I said if this piece was done and did not warrant an update, I would not supply her any new information. I had said the same thing to Zaneta Lowe of WTVM. Fortunately, both reporters were open to updates. So, for now, I have a direct line and email to the two reporters if there are any significant developments. If any of you want to see the WRBL news story, you can see the video on WRBL.com and CobraCollectionScam.com.